Biography: Professor Daniel Coca is Head of Department of Automatic Control & Systems Engineering and Director of the Centre for Signal Processing and Complex Systems at the University of Sheffield, United Kingdom. 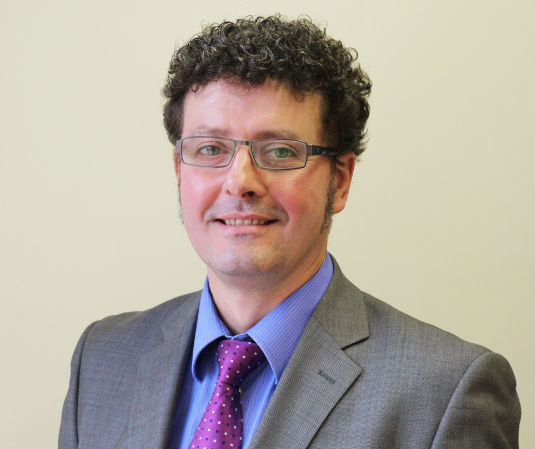 He received his MEng degree in Electrical Engineering from Transilvania University of Brasov in 1993 and his PhD degree in Automatic Control and Systems Engineering from the University of Sheffield in 1997. His research interests include modelling, analysis, and control of complex systems, inverse problems, diffuse optical tomography and biological data analysis. To reach him, please visit https://www.sheffield.ac.uk/acse/staff/dc. Abstract: According to the US National Academy of Engineering, ‘Reverse Engineering the Brain’ is one of the ‘Grand Engineering Challenges’ of the 21st century. Understanding how the brain works promises huge opportunities for replicating the perception and cognition abilities of the human brain as well as for advancing the understanding and treatment of cognitive and neurological disorders. Whilst recently the focus has been on highly ambitious, large-scale, billion-pound research projects that aim to develop large-scale simulation models of the entire human brain, it is clear that it is more feasible to understand the fundamental principles of neural computation and cognition by studying much simpler insect brains that still produce astonishingly complex behaviours. Over the past decade, systems and control theory has emerged as a key theoretical and methodological framework to elucidate how neural circuits compute, what computations they perform and how these in turn relate to animal’s behaviour. System identification, nonlinear frequency response analysis, controllability, observability and optimal control are some of the concepts, methods and tools that are used to explain how the brain moves between cognitive states, to study the mechanisms behind neural control, to understand how brain functions are regulated or to elucidate the adaptation and coding mechanisms employed by sensory systems. In this talk I will show how the application of such methods and tools has allowed us to elucidate the adaptation and coding mechanisms employed by fly photoreceptors and, more recently, enabled us to characterise for the first time the neuronal connectivity in the Drosophila brain. Specifically, I will show how photoreceptors exploit nonlinear dynamics to selectively enhance and encode phase-related features of temporal stimuli, such as local phase congruency, which are invariant to changes in illumination and contrast and how, in order to mitigate for the inherent sensitivity to noise of the local phase congruency measure, the nonlinear coding mechanisms of the fly photoreceptors are tuned to suppress noise. In this context, I will introduce briefly the Fruit Fly Brain Observatory, an open source software platform for studying fruit fly brain function and for investigating brain disease models, which we are currently developing in collaboration with partners in US and Taiwan. Biography: Sergiu Nedevschi is a Professor in Computer Science within Technical University of Cluj-Napoca (TUCN) and the Director of the Research Center for Image Processing and Pattern Recognition. He received his Masters and Ph.D. from Technical University of Cluj-Napoca in 1975 and 1993. He was a Senior Research Fellow for the “Research Institute for Computer Technologies of Cluj-Napoca”, an Assistant and Associate Professor and now is full Professor in Computer Science at TUCN. He was the Head of the Computer Science Department, the Dean of the Automation and Computer Science Faculty and now is the Vice Rector of TUCN in charge with Scientific Research and ICT. He is currently teaching Image Processing (3th year), Pattern Recognition (4th year), Artificial Vision (master), Artificial Vision for Autonomous Driving (master). He established, in 1998, the “Research Center for Image Processing and Pattern Recognition” that has main researches in stereo vision based perception, advanced driving assistance and autonomous driving. He was involved in more than 80 research projects, being the coordinator of 60 of them. The industrial cooperation with important automotive players like Volkswagen AG, Robert Bosch GMBH, SICK AG and research institutes such as VTT, INRIA was achieved through funded research projects. He is the author/coauthor of 20 books and over 300 papers from which more than 90 journal papers. 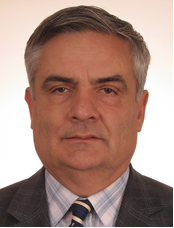 He is IEEE member, member of IEEE Romania Section Committee in charge with educational activities and Associate Editor of several IEEE conferences and journals. He has also received many national and international awards and honors. To reach him, please visit http://users.utcluj.ro/~nedevschi/. Abstract: Automated vehicles and automated driving are fascinating topics in the research world and in the car industry. Perception based solutions to provide the necessary information to the automated vehicles are investigated. The specifications for perception are established starting from the automated driving requirements. Perception strategy, disruptive sensors, the sensory system, redundancy, 360 degree coverage, perception solutions at individual sensors level, raw data level fusion versus object level fusion are discussed. The algorithms for surrounding view cameras, stereo cameras and LIDARs, and the super-sensor concept for spatio-temporal and appearance based intermediate representation (STAR) developed at Technical University of Cluj-Napoca are presented. Biography: Marcin Paprzycki is an associate professor at the Systems Research Institute, Polish Academy of Sciences. He has an MS from Adam Mickiewicz University in Poznań, Poland, a PhD from Southern Methodist University in Dallas, Texas, and a Doctor of Science from the Bulgarian Academy of Sciences. He is a senior member of IEEE, a senior member of ACM, a Senior Fulbright Lecturer, and an IEEE CS Distinguished Visitor. He has contributed to more than 450 publications and was invited to the program committees of over 500 international conferences. He is on the editorial boards of 12 journals and a book series. To reach him, please visit http://www.ibspan.waw.pl/~paprzyck/. Abstract: Lack of interoperability of Internet of Things (IoT) platforms / systems / applications (artifacts) is being recognized as an important issue that prevents faster development of IoT ecosystems (including Smart Grids / Homes / Neighborhoods, office buildings, etc.). Acknowledging this problem, the European Commission has funded seven research projects that are to address it. While interoperability can be considered on many levels, here we are interested in semantic interoperability. This is also the focus of current presentation. Based on our recent work, we came to the conclusion that we have to assume that: (1) research should focus on joining at least three artifacts (to avoid “two-platform-simplifications” that can easily “distort judgment”), and (ii) existing IoT artifacts cannot be easily changed (resistance of stakeholders) and / or do not have semantics represented in the OWL language. We also have to assume that, at least for the time being, process of joining multiple IoT artifacts will be guided by representatives of stakeholders (we thus omit considerations related to the discovery and inclusion of services “from the WWW”). Therefore, we have proposed the following approach leading towards establishing semantic interoperability within IoT ecosystems: (1) Modular ontology consisting of: (a) core vocabulary of the IoT, and (b) domain specific modules (facilitating communication concerning given “topic” – one or more modules for each “topic”) has to be developed. (2) Semantics of each artifact has to be extracted and lifted to OWL (providing foundation for semantic translations). (3) Translators (bidirectional – producer and consumer) between the “local vocabulary” and the “lifted vocabulary” have to be created. (4) Alignments (“directional”) between ontologies representing each entity, and appropriately selected modules of the central ontology have to be instantiated and stored. They will be later used in data translations. It should be stressed that, while each step is supported with a set of tools (usability of which depends on the specific situation), none of them can be completed automatically. In other words, it is necessary to have a “human in the loop” to make sure that the resulting vocabularies, alignments, etc. are appropriately high quality. The aim of the presentation will be to provide details of the above described proposal for reaching semantic interoperability in IoT ecosystems. Research presented in the talk is being supported by EU-H2020-ICT grant INTER-IoT 687283. Biography: Carla Seatzu received the Laurea degree in Electrical Engineering and her Ph.D. degree in Electronic and Computer Engineering from the University of Cagliari, Italy, in 1996 and 2000, respectively. 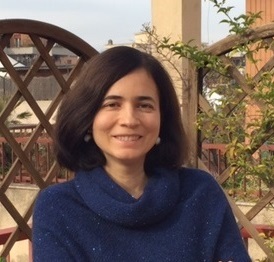 Since 2011 she is Associate Professor of Automatic Control at the Department of Electrical and Electronic Engineering of the University of Cagliari, which she joined in 2002 as an Assistant Professor. In 2013 she got the Italian National Abilitation to Full Professor of Automatic Control. She is Vice-President of the Faculty Committee of Engineering and Architecture and Vice-Coordinator of the Ph.D. 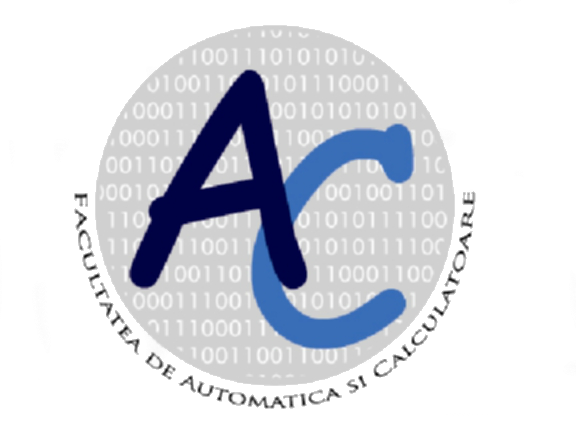 Program in Electronic and Computer Engineering at the University of Cagliari. Carla Seatzu’s research interests include discrete-event systems, Petri nets, hybrid systems, networked control systems, manufacturing and transportation systems. She is author of more than 230 publications, including 60+ papers in international journals, 10+ chapters in international books, and one textbook. She is editor of two international books and the proceedings of two international conferences. Her h-index in Scopus is equal to 26. Actually she is Senior Editor of the IEEE Control Systems Letters, and Associate Editor of 3 international journals: IEEE Trans. on Automatic Control, IEEE Trans. on Automation Science, and Discrete Event Dynamic Systems. She has also intensively collaborated to the organization of international events. In particular, she was Workshop Chair of the 55th IEEE Conf. on Decision and Control (2016), and General Co-chair of the 18th IEEE Int. Conf. on Emerging Technologies and Factory Automation (2013). To reach her, please visit http://www.diee.unica.it/~seatzu/info_eng.html. Abstract: Security is one of the most important properties in cyberinfrastructures, ranging from Internet and mobile communication networks to national defense and health service systems. In these systems some information should not be corrupted or acquired by unauthorized people (called intruders). The notion of opacity formalizes the absence of information flow, or more precisely, the impossibility for an intruder to infer the truth of a predicate representing the secret information. In discrete event systems the predicate can be a subset of the state space or a language, therefore, opacity properties can be categorized into two main classes: state-based opacity and language-based opacity. In this talk the focus will be on state-based opacity. More precisely, two state-based opacity properties will be considered: current-state opacity and initial-state opacity. Special attention will be devoted to systems modeled with Petri nets.